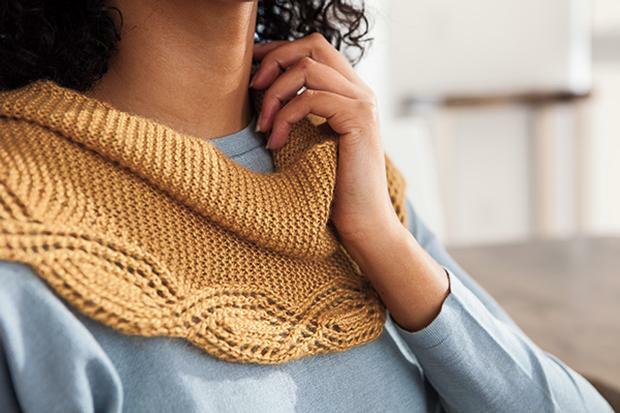 Whether you are a cable connoisseur looking to dabble in some lacework or a lace lover coveting the braided designs of cabling, you’ll want to let your eyes wander all over this unique lace construction. The uniform simplicity of the garter ridges accentuate the unconventional cable-like braiding of the lace border. 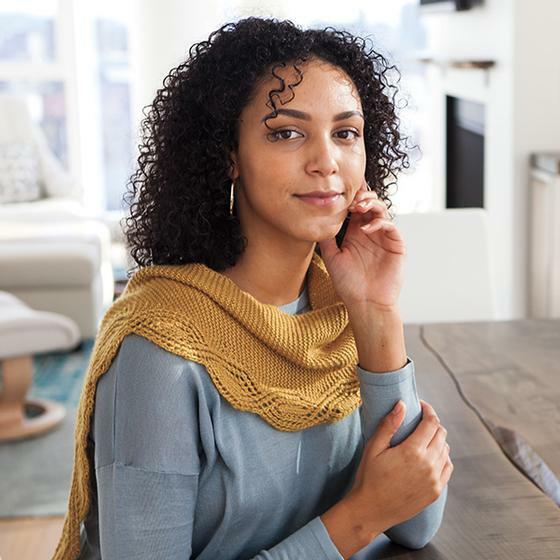 The Meandering Lace Shawlette is knit sideways, from point to point. 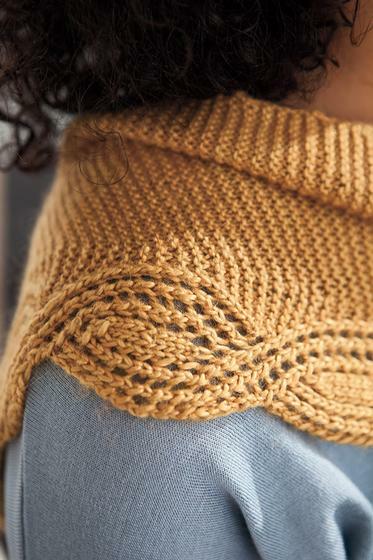 The body is worked in garter stitch, with a wandering lace motif along the border. Color used in the sample is no longer available; we have made a different color suggestion in the yarn calculator below.